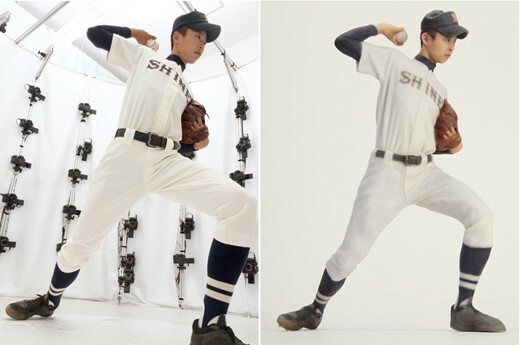 The Panasonic Center in Osaka has installed a photo booth that uses 120 Lumix DMC-GH4 cameras to create a three-dimensional impression of the occupants, which can then be turned into a plaster figurine. 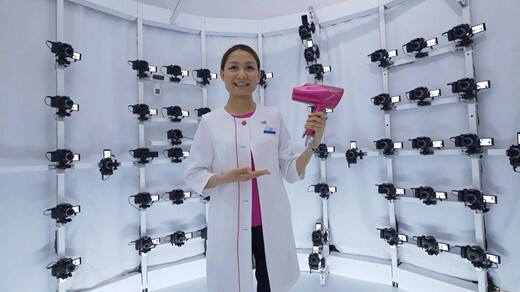 While 3D scanning is not a new concept, Panasonic claims that what makes its booth stand out is that the ‘scan’ is created in just 1/1000sec. That means the subjects can be in motion, leaping in the air for example, and the image will still be sharp. The cameras are arranged in a floor-to-ceiling grid pattern facing inwards on the walls of a cylindrical booth, and are synchronized to trigger within a one millionth of a second of each other. Collecting over 2 billion pixels of information the ‘3D Photo Lab’ outputs an image that can be rotated on a touch screen panel. That picture contains the�camera array in the background as well, but in the next stage the person is cut out from the background � and then a 1/10th life-size plaster figurine can be made. 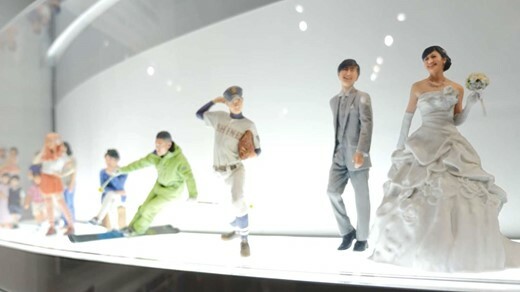 As well as individuals, the booth can cope with up to two people, so parents and children, and the inevitable wedding couples, can be photographed and modeled together.�The figurines are optional, and cost 55000 yen, plus tax, which is about $450/�280. For more information see the Panasonic Japan press release and watch a promotional video � both in Japanese. Would you spend $450 on a 3D model of yourself? Tell us in the comments.